It’s true that many casinos offer complimentary drinks when you’re posted at a slot machine or taking your chances at a gaming table, but just because you don’t actually pay the waiter for the drink doesn’t mean it’s free. Casinos want to encourage you to stick around and continue gambling, and because overall the “house” usually comes out on top when you do, you’re indirectly paying for those drinks every time you put money into a game. Complimentary drinks while gambling is standard procedure in Las Vegas, but the rules for regional reservation casinos vary by state. “Dry” states include Oklahoma, Arizona, Oregon, Kansas, Illinois, Indiana, Rhode Island, Maryland, Michigan, Idaho, Missouri, Ohio, Florida, Delaware, and New Mexico. For the states that do allow free drinks at casinos, the types of drink and quantity also vary. For example, in West Virginia, casinos can only give out domestic beer for free, while in California, any drink is fine as long as the casino has a valid liquor license. Advances in technology have transformed basic slot machines into impressive full-on sensory experiences, and those advances also help casinos ration free drinks. Many new slot machines track how much money you’ve put into them and switch on a specific light to let servers know you’ve played enough to earn a free drink. Most major casinos in Las Vegas have adopted this technology, called a “comp validation system.” So far, table games may be immune to the new tech, but that could change in the coming years. Tipping the bartender or waiter for your drink at a bar is a given, so you should also tip the server who brings your “free” drinks at the casino. Technically, you aren’t required to tip, but if you don’t, you’re less likely to see that server again. In general, $1.00-$2.00 is fine to tip per drink, but if you tip more, don’t be surprised if your waiter comes around more frequently, and maybe even brings you higher-quality drinks. Even if free casino drinks aren’t technically free, you may want to be careful about how much advantage you take of a casino’s hospitality. When the waiter drops by to take your order, choose beer, wine, or a simple well drink. Being overly demanding or complicated in your drink orders could result in less frequent visits by the wait staff. And keep in mind that overdoing it on the drinks could result in bad decision-making at the game tables. Come play and create memories with us at Golden Acorn Casino! 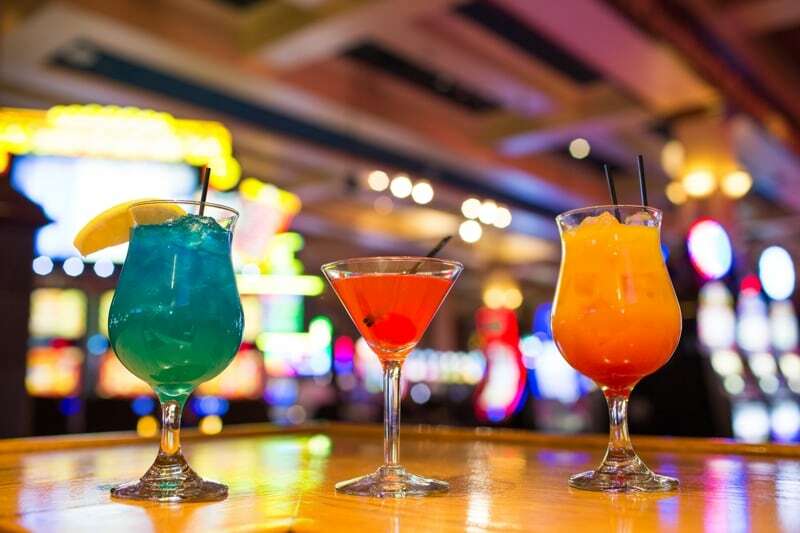 Whether you drink or not, there is plenty of thrill and excitement to be had at Golden Acorn, where we offer hundreds of slots and table games, live entertainment, delicious food and more. Just a short drive from San Diego, Golden Acorn Casino is conveniently located right off the I-8, making it the perfect place to create wonderful memories with your friends or family. Come play with us today!